True vCloud Backup. Simple. Reliable. Self-Service. Allow tenants to back up and recover their virtual machines by themselves though a simple web-based user interface. Provide tenants with a cloud disaster recovery site where they can run copies of their on-premise machines, physical or virtual, in a case of disaster. Help tenants migrate their existing physical or virtual machines to the cloud, between clouds, and back to the original location to help address lock-in concerns. Although the tenant relies on your datacenter hardware, he will also have operating systems and applications, which are statistically much more likely to be a cause of problems. Installing bad updates, performing erroneous configuration changes, deleting important files, running wrong scripts are all sources of errors. Let’s face it humans are proven to make mistakes. With Acronis Backup Advanced for vCloud, tenants can easily revert virtual machine back to a known good state in minutes. On their own, no software to install, no phone calls to make, no confusing manual procedures to follow. 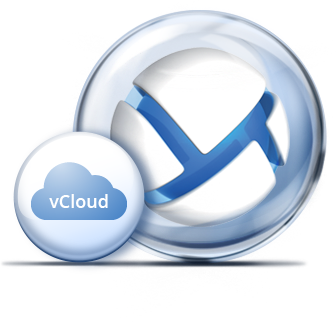 Acronis Backup Advanced for vCloud is designed for public, private, and hybrid clouds built on VMware vCloud Director. It is installed and configured by a vCloud provider and enables the tenants to perform backup, disaster recovery and migration through a simple and intuitive web-based interface. Acronis Backup Advanced for vCloud works with the VMware vCloud Director to authenticate users and display their vApps and virtual machines exactly as they are used to seeing them. Using a very simple web interface, tenants can schedule backups or start recoveries of their virtual machines. Tenants will only see virtual machines and backups they own. In a nutshell, Acronis Backup Advanced for vCloud uses VMware API for Data Protection (VADP) to perform agent-less image-based backup and recovery of virtual machine disks – the same fast and proven technology as used by award-winning Acronis Backup for VMware and Acronis Advanced Agent for VMware vSphere. In addition to this, Acronis Backup Advanced for vCloud also uses the vCloud Director REST API to backup virtual machine settings and configuration data. This ensures that after a restore is completed, the virtual machines appear in vCloud automatically, exactly matching what had been present at the same time the backup was taken. Acronis Backup Advanced for vCloud is built for compatibility. It uses Acronis Unified Backup Format, also used by other Acronis products. This allows unlimited any-to-any migration, including the ability to move physical or virtual machines from on-premise locations to vCloud, from vCloud to on-premise locations, and even between clouds. Self-service management for tenants and vCloud Administrators. Full compatibility with other Acronis products by using the Unified Backup Format. A JSON API for integration with 3rd party services, applications and platforms. Enable or disable backup functions for individual VCD organizations. A simple web interface requiring no client side deployment. Easy re-branding by changing a CSS style sheet. Full integration with vCloud Director using the VCD REST API to preserve all VM configuration settings. Per-tenant reports to allow flexible billing. The reports include: number of backed up virtual machines, total size of backed up virtual machines, total RAM/CPU of backed up virtual machines, total backup size. Military-grade encryption for backups and transport. Volume discounts apply. Check with Acronis sales if an options is available for you.